Enter Dreamfields and farm the weirdest and most wonderful dream possible! Set in a weird and wonderful place where each and every dream is unique and you can drift from one to another seamlessly. 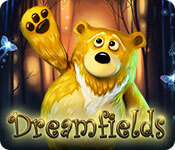 Dreamfields is a real fusion between farming, beauty and fantasy.